Here's some of me, the 2nd one in the top row is in case my hair ever gets wet, it sags. Well, not the top left one. That one is Meister's, which is the base sprite I used to make the others. No need to give me credit or ask my permission to use 'em. I think Thaumaturge or Meister would be better. Last edited by Astral Harmony; 01-05-2005 at 05:34 AM. PM me opinions on these, my first sprites. They're based on myself, duh. I like the finger-poke attack. EDIT: Many more sprites, complete with my robe and _mike in his hobo jacket. Edit Again: This is it for these sheets. They are complete. They have been for a while, but I'm just getting around to posting them now. Edit Yet Again: I removed the Mike sprites. There was nothing there that isn't here. In fact, please use this sheet right here that I'm linking to for your phil_mike spriting needs. 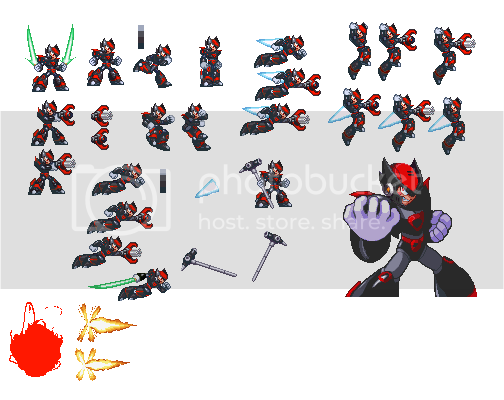 My old sprites will stay here, just in case someone hates my newer, better sprites and wants to keep using these here. I'm not gonna stop you, I'd just like to look less like BB. Last edited by phil_mike; 06-04-2005 at 01:54 AM. With the help of my super-amazing friends, I have updated my 16-bit spritesheet. Tremble at the few bonus poses and the updated sword! I have allot of editing I am slow in doing it but I will host a native rez and post an edit or new post with the full one when it is at least 2/3 done for some reason it is always easier to edit these Square Sprites than the creation of a completely new one. P.S. For Totsu I wasn't able to get trancparency to work it's being deliberately difficult. Guess what? 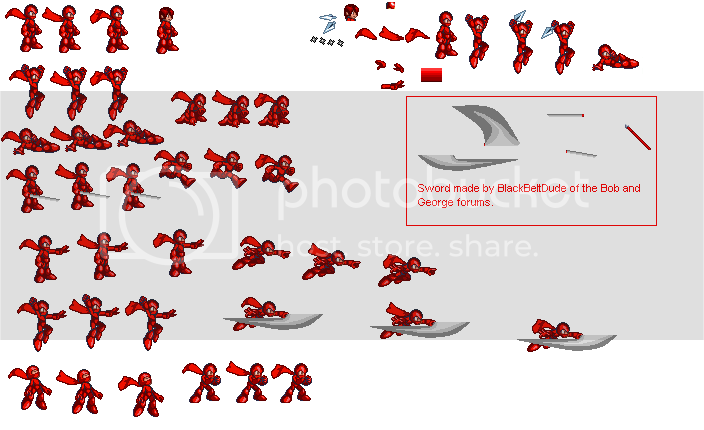 It's time for My Sprite Sheet That Only Has About Three Poses Because It's Based Off An Obscure Character! If you need anything else, just have it done off-camera. Trust me, I'm feeling the hurt too. Edit: After some thinking, I'd rather go with this sheet. Resize as you see fit. Last edited by Zweihander; 02-08-2005 at 04:16 PM. My brother Mammothtank was nice enough to edit these sprites for me. They're based on Bartz sprites from The Shyguy Kingdom. Ok so this was the best I could do for my own sprite sheet. If anyone better at this would like to touch it up (hint hint) please feel free to do so. On-Topic: Work on my sprite sheet is going along smoothly... Here's what I have so far. Last edited by YamiSouru; 01-28-2005 at 08:52 PM. The server time is now 10:44:35 PM.